Many archaeological sites were exposed beneath the sand dunes in the area of Rishon le-Ẓiyyon during increased development activity in Israel in the 1990s. One is a Middle Bronze Age II cemetery discovered in 1991, the largest cemetery excavated on the central Coastal Plain. It lies in the vicinity of many other archaeological remains, including Persian period burials, prehistoric lithics, and an Iron Age II fortress (for the latter, see below). The cemetery is located on the eastern of two kurkar ridges that run parallel to the coast. 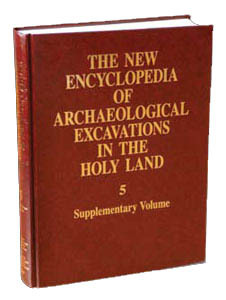 Excavations in the cemetery were conducted in 1991–1998 under the direction of Y. Levy on behalf of the Israel Antiquities Authority. Six main excavation areas were opened (A–D, F, G; an additional pit burial was found in the area of the Iron Age fortress, area E). To date, 22 shaft tombs and 190 pit burials have been excavated, although many additional graves were located during the excavations and classified according to plan (shaft or pit) based on surface indications. All together, the cemetery contains at least 218 pit burials and 28 shaft tombs. In addition, three jar burials were excavated. The graves contained pottery and alabaster vessels; metal artifacts such as daggers, axes, and toggle pins; beads; and sheep bones inside jars or bowls, sometimes together with a metal knife.